Wondering whether this fashionable material is perfect for your kitchen or bathroom project? Get all of your research done right here. Beautiful, durable, easy-care quartz is among the most popular countertop materials available—but it is pricey. If you’re considering quartz for your kitchen or bathroom, first get the 411 on this trendy topper before you buy. 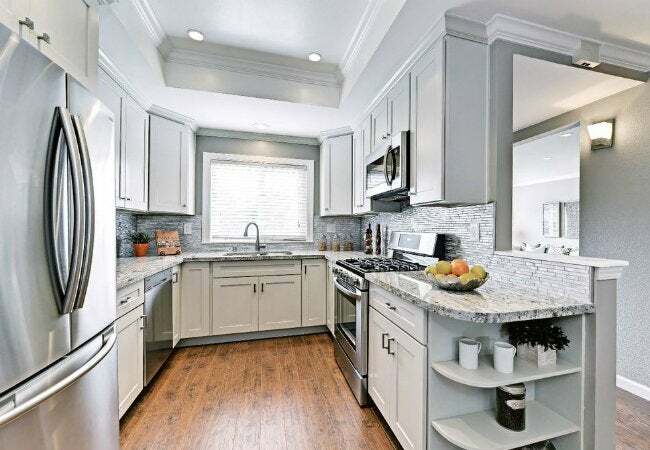 This complete countertop primer will set you up all of the necessary information on selecting and caring for quartz countertops, so you can make a smart decision and enjoy your work surface for years to come. A visit to a kitchen showroom nowadays will show you a dazzling array of quartz countertop designs and patterns that remarkably mimic real marble and other natural stone. But quartz has come a long way! First appearing in Italy in the 1960s, these countertops were developed—by combining ground quartz particles with resins into a slab—as an alternative to stone that wouldn’t easily crack or break. While the resins added just enough flexibility to do the trick, early quartz countertops were a dull-looking cream and tan. Cutting-edge improvements in solid-surface technology have elevated quartz from functional to fabulous. With an abundance of finish choices and endless combinations of color and edge styles, you’ll likely find something stunning that suits your home. A note to homeowners in the market to remodel: When exploring countertop options, make sure not to confuse quartz with quartzite. Quartz is engineered with pigments and resins, while quartzite is actually sandstone that, through natural metamorphosis, was exposed to intense heat, which caused it to solidify. Mined from large stone quarries and cut into solid slabs, quartzite is also available for countertops—but, unlike quartz, it must be sealed before use and again once or twice a year thereafter. What Are the Pros and Cons of Quartz? Thanks to its non-porous nature, quartz is mold-, stain-, and mildew-resistant, making it a breeze to keep not merely clean but also germ- and bacteria-free. Quartz also resists heat damage—up to a point. Manufacturers market quartz as able to withstand temperatures up to 400 degrees Fahrenheit (one reason it works well as fireplace surrounds). But “thermal shock” can result from placing a hot pan straight from the oven or stovetop onto a cold quartz countertop, which can lead to cracking or discoloring. And while quartz does resist staining because liquids can’t penetrate its surface, it’s not 100 percent stain-proof. Messes should be cleaned up quickly to best preserve quartz countertops’ original color. The biggest downside to quartz, however, is cost. While a preformed or laminate countertop will set you back a few hundred dollars, quartz countertops cost between $70 to $100 per sq. ft., installed, comparable to the price of natural stone countertops. 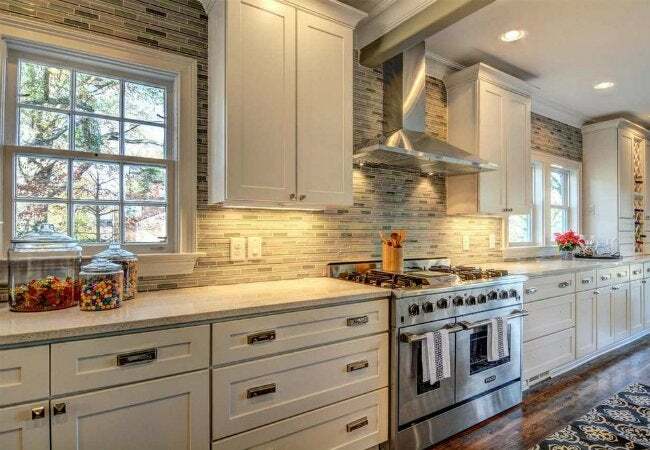 For a mid-size kitchen, you can easily spend a few thousand dollars for quartz. If you’re planning a backyard kitchen, steer clear of quartz altogether. It’s not suitable for outdoor installation, as the sun’s UV rays can break down the resin binders and degrade the countertop, leading to fading and eventual warping. 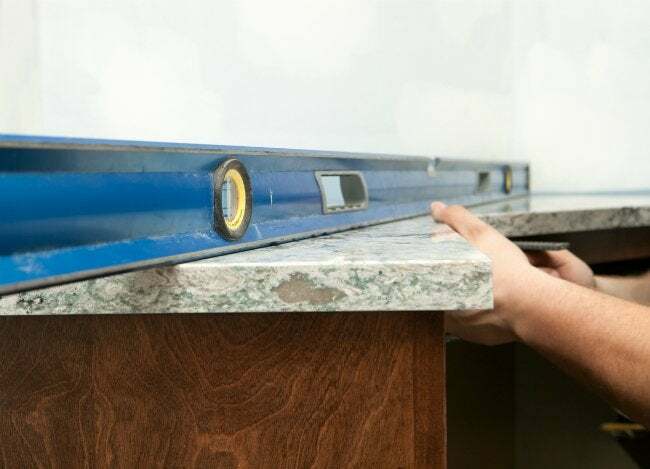 Seams: If your counter is longer than 120 inches, or if it involves a complex configuration, quartz may have to be fabricated in more than one section, which means you’ll have one or more seams. Seams are typically less visible on dark-toned quartz but can be quite noticeable on light-toned or multicolor countertops, such as those with obvious veining or marbling patterns. 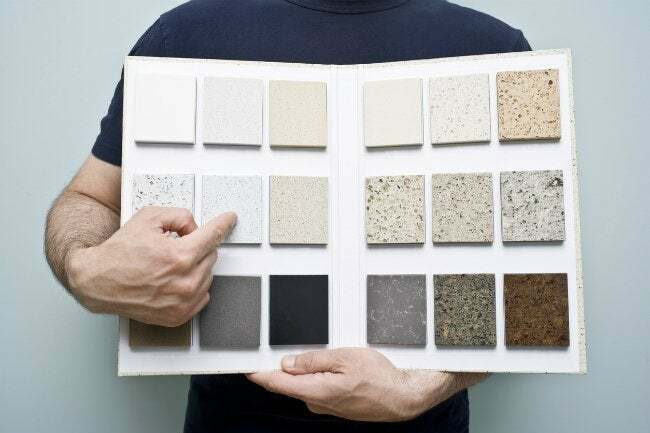 Thickness: Countertop thickness ranges from ½ inch to 1-¼ inch, depending on style, brand, and size. If you’re ordering a large countertop or want an elaborate edge design, the fabricator may suggest a thicker slab. If your heart is set on a thin countertop but your kitchen is large, expect to have one or more seams. Thickness also depends on custom features, such as integrated drain boards and elaborate edge profiles. Design Details: Custom designs in a wide array of colors are available, from neutral grays, off-whites, and subtle tans to bold blues, bright yellows, and striking solid blacks. In addition to shade, you can choose from quartz made from small particles for a smooth appearance, or from larger grains for a flecked look. The surface can be sleek and glossy or feature a flecked, pebbled, embossed, or even suede appearance. Edge Ideas: Custom edge profiles in complex designs bring distinction to your cook space but add to the final cost. You can opt for a bold square countertop edge, a chiseled raw-edge look, or select a softer, rounded bullnose corner. A reverse waterfall edge resembles the shape of crown molding and adds a touch of traditional elegance, while contemporary edges, including slanted, mitered, or undercut create the illusion of a thinner slab. Ogee (S-shape) is a popular edge design that fits just about any decor. Bathroom Buys: Selecting a quartz countertop for a bathroom is slightly different from buying one for your kitchen. Bathroom vanities come in standard sizes, so you can purchase pre-made vanity countertops. Many come with pre-molded sinks or pre-cut holes to accommodate drop-in sinks. Bathroom vanity quartz countertops range from $400 to $1,000 depending on length, and installation for them is more DIY-friendly. What Should I Expect with Installation? Phase One: A representative from the manufacturer will come to your home and measure your cabinets to create a template for the countertop. It takes an average of two weeks for the countertop to be made. Phase Two: The new countertop installs directly on the base cabinets with adhesive—no underlayment is required. The installers will precisely fit any seams as necessary, filling them with epoxy resin that matches the countertop. It takes from a few hours to a full day to install a typical quartz countertop. Phase Three: You or your plumber can now proceed with installing under-sink plumbing. How Do I Keep Quartz Looking Great? 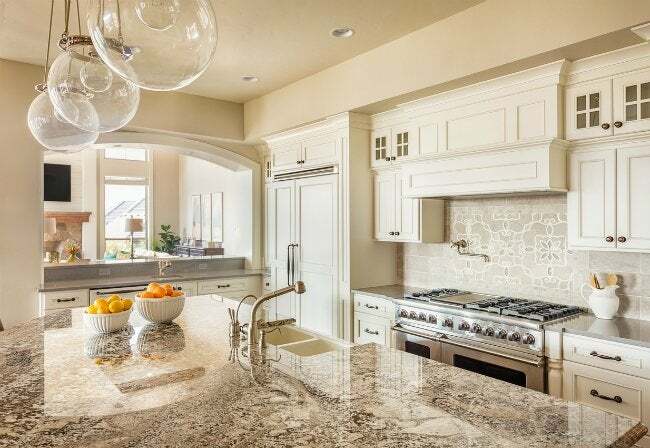 Beyond the actual appearance, the beauty of quartz is that required care for your new countertop is relatively easy, but there are still a few crucial do’s and don’ts to mind. • Do wipe up spills promptly with paper towels or a damp cloth. While quartz is non-porous, liquids like wine and coffee can stain the surface if allowed to dry. • Don’t use abrasive cleaners or scrubbers on your countertop. Scouring powders and steel-pads can scratch and dull the surface. • Do use an all-purpose spray kitchen cleaner or mild commercial household cleaner for daily cleaning needs. • Don’t use, or spill, acidic or high-alkaline products on your countertop. Quartz tolerates cleaners in the mid-pH range, but products that fall on either end of the pH scale can dull its luster. Avoid spills from drain cleaners, oven cleaners, acetone (fingernail polish remover), paint remover, solvents, bleach, dishwasher rinse agents, and any products that contain trichlorethane or methylene chloride. Take a better safe than sorry approach: If you don’t know for sure that a product is appropriate for quartz, don’t use it. • Do use a non-scratch nylon pad or sponge to safely scrub away sticky food residue. • Don’t use a metal knife to remove hardened food items, such as stuck-on candy-making spills. Instead, use a plastic putty knife to gently scrape them away. • Do use spray glass cleaner after wiping your countertop clean, and buff the surface dry with a clean towel for a streak-free shine. Opt for a mild, oil-based cleaner (like Goo Gone) to remove tough ink or dye stains, and then rinse with plain water. • Don’t use your quartz countertop to chop and dice foods. Use a separate cutting board to prevent knife marks on the countertop. • Do tackle tough cleaning chores, such as splattered grease, by spraying your countertop with a kitchen degreasing cleaner and leaving it on for 5 to 10 minutes before wiping away with a clean damp cloth. • Don’t set hot pans directly on the countertop to avoid discoloration and cracking. Keep plenty of trivets handy and use them faithfully.